We recently deployed a WCF web service to our prod environment. Attempts to call it or even access the WSDL from a browser return a 401. Where would this authentication be happening? This service sits in its own virtual application under a website with a dozen other similar services. These do not exhibit the same symptoms. Similarly, this did not occur on any of three pre-prod environments. 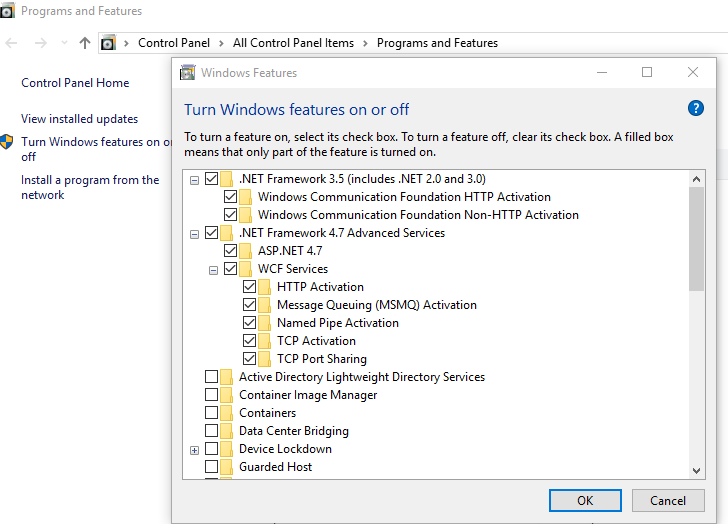 I've looked through IIS settings on the virtual app and the application pool but nothing stands out to me. The only discrepancy I see between the UAT and Production configs is the prod one targets 4.6.1 instead of 4.6.2. Does anyone have an idea why this one site would be bouncing connections as unauthorized--even when just browsing to hit the wsdl? UPDATE After thinking and checking here, I found the sub-status code being returned was 3, indicating permissions on the folder. Adding everyone (temporarily) fixed the issue. This still leaves trying to track down why a virtual app under the same site as many others, using the same account to run the app pool as all other app pools experienced this issue. I don’t know how do you configure during the deploy/publish process. On my side, I have made a simple demo, it works normally.I would like that you could share more details about your project. My server environment (10.157.13.70) is win10, IIS10. virtual path is C:\Test. Here is what I have done in IIS. Add the https binding and development certificate. Besides, I have the Anonymous Authentication enable in IIS authentication module(default settings). Feel free to let me know if the problem still exists. Not the answer you're looking for? Browse other questions tagged wcf http-status-code-401 or ask your own question. How do I return clean JSON from a WCF Service?